Get the best assistance from the travel desk of United-21 grassland resort in Kaziranga. During your visit to Kaziranga National Park you can stay at one of the resorts near Kaziranga. Among many resorts at the destination, United-21 Grassland resort in Kaziranga provides nice accommodation near the park. This resort is dedicated to make use of tourism as the best means of conserving wildlife and ultimately the environment. 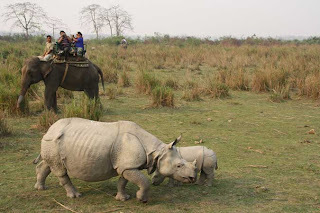 The travel desk of the resort assists the visitors in selecting suitable Kaziranga wildlife tour or the Elephant safaris. Other assistance provided by the helpdesk is for guided tours or trekking in nearby beautiful trekking sites. This resort proves to be an ultimate guide while exploring the grasslands and forests of Kaziranga. 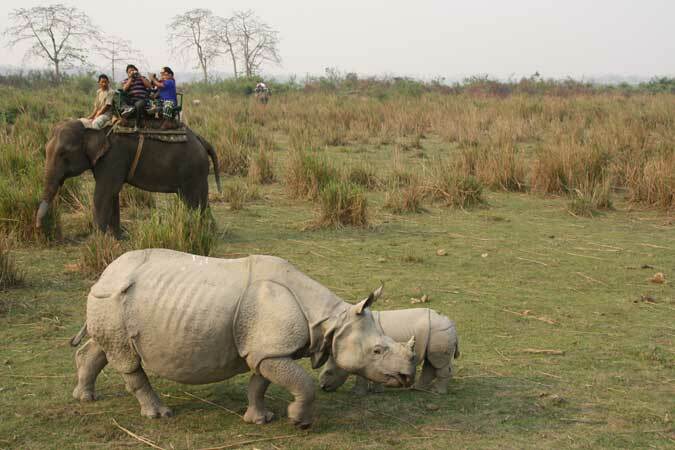 Kaziranga National Park, in Assam is the most deserving destination for the nature lovers and animal life enthusiasts. It is located at around 225 Km from Guwahati and is very much popular for its Tiger reserves as well as the rare species of one-horned rhinos. This is the place where one horned rhinos can be watched closely in their natural habitat grazing freely in the tall grass of the grassland. One can also watch the tigers in their natural surroundings easily in this vast region, due to healthy tiger population of the reserve. Apart from the two rare species there is much more to explore in this reserve. The wildlife reserve in the park is a UNESCO world heritage site. Kaziranga National Park is spread partly in two neighboring districts of Assam namely Golaghat and Nagaon. For reaching the Park by air Guwahati airport located at around 217 km is the nearest airport. If you are travelling by train the nearest railway station is at Jorhat just seventy five km from the National Park. By road it is one hundred sixty six km from Guwahati. The main gate for Kaziranga wildlife sanctuary is at Kohora on the national highway NH 37. There are busses to Kohora from Tezpur and upper Assam. Best time to visit this destination is from November to April. The hotels at Kaziranga are spread over huge plots of land amidst astounding greenery and are located near the Park. You can avail the facility of Booking Kaziranga hotel online. The region around National Park is purely untouched forest area dominated by grass lands, marshlands and rugged reeds. They provide perfect environment for the abundant wild life and the fast diminishing one horned rhino’s. Variety of mammals like elephants, tigers, hoolock gibbons and bears along with many splendid bird species can be watched in the Jungles in and around the park. The best way to discover the treasures of wildlife in the park is by riding an elephant to view the area of the Park. Elephant safaris start early in the morning and continue for an hour. If you join the river side cruise you will be able to pick some beautiful views of the Brahmaputra River. Visit this best destination in Assam for a lifetime memorable experience.